Salento is Zagaria's territory. An old-school police inspector: he is good-natured, but not too good-natured... pity whoever incurs his wrath! 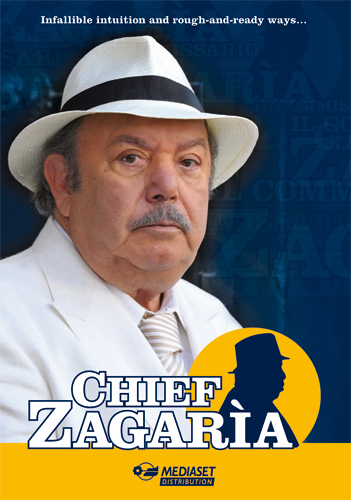 Poor officer De Simone knows this only too well, being Zagarìa's target of choice when he lets his anger loose! Zagarìa takes his work very personally. To him scientific innovation is a waste of time, if not a downright hindrance, to his infallible intuition. Clearly the arrival of young Deputy Chief Stefano Amato – who has been called in by the Chief to set up a scientific division in Salento – inevitably sees a clash between Zingarìa's rough-and-ready way of doing things and the newcomer's meticulous ways. Although the two would never admit it, they find out that they do, in fact, complement one another as both the deputy prosecutor and Zagarìa's daughter-in-law Emma Sardella and officer Anna Lepore repeatedly point out.